Created By Barbara: Paisley Perfect Flair... Blog Hop!!! Paisley Perfect Flair... Blog Hop!!! I bet you just came from Marg's Blog. Isn't she awesome! By the way, that is more of a statement than a question. I did a card, using White Daisy Cardstock, Art Philosophy Cricut Cartridge, Sparkles, 3D Foam Tape and four stamp pads (Honey, Chocolate, Topiary and Cranberry). Right now, with a qualifying purchase of $50, you are able to get as many C (regularly $13.95) or D (regularly $17.95) size stamps, for only $10.00 each! That is an amazing deal! I hope you enjoyed it! Now onto Shelly's Pretty Pieces! It will be amazing! This is one of my favorites too as I love paisley but I just don't use it enough. Thanks for the lovely inspiration! How pretty is that! This isn't really a question either. I love the variety of colors. You're so brave to stamp without any paper. Simple but it looks difficult. I never know what to do with paisley, but you really showed good use of this stamp set! 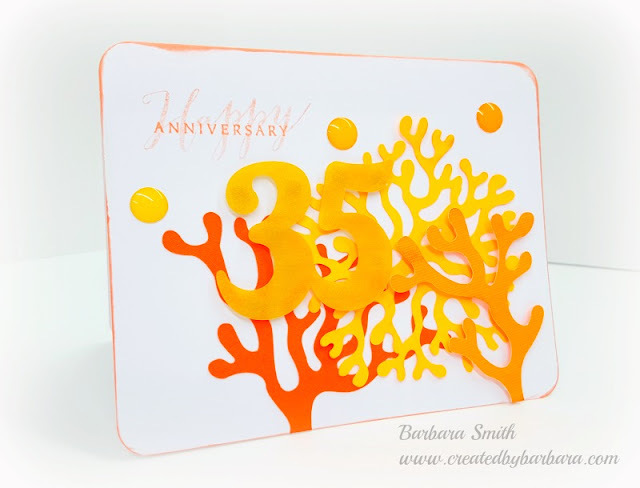 Like Shelly, I like all the colors, and you have really helped people see that they can make a beautiful card without patterned paper!! Great inspiration, Barb!!! Beautiful color combo and great design! Love how you used the stamps to create a custom look. Your class and sass really shine here! Absolutely love your card Barb. The colors together are beautiful. Nice work! So CUTE, Barbara! I need to pull out that set. It's been a while and I love it! I love these colors together. How perfect!